Long-Term Relationships. Creative Solutions. Single Source Provider. AOPD Dealer: OEX offers you the benefits of a national office products purchasing program, combined with superior local service. Office Express is your single source provider for all your office needs. From batteries to writing supplies - we carry it all. Let us be your one-stop destination and instantly gain access to our catalog of thousands of items and convenient shipping options. We even offer FREE next day delivery and there is no minimum order! Sound too good to be true? That's the Office Express way. Our customers are always surprised with how helpful and economical our service is. Let's start our journey together. A productive office relies on a little more than just the people working there. Pens, binders, calendars, organizers, paper, sticky notes, envelopes, printer ink, paper clips, and staples are just a few examples of essential items that an office space needs to continue running smoothly. Whether you are shopping for the office, school, home, or all of the above, look no further than Office Express to find exactly what you are looking for. The example company is losing a large amount of money just from employees' breaks! Luckily, there is a quick and simple fix to this epidemic. If the company were to install an in-house gourmet coffee brewer, it would take advantage of all the time and money it had previously lost, and, in turn, greatly boost productivity. Learn more here about how your workplace can get a huge morale and productivity increase! Bright and early in the morning? Perfect. Mid-afternoon recharge? Even better. Refill for the road home? Now you're talking. Never have an empty coffee cup again! Enjoy a hot, soothing cup of coffee whenever your heart desires with just a push of a button. We offer a variety of Keurig single cup coffee makers and an abundance of types of coffee, tea, and hot chocolate K-cups to choose from for your office and breakroom. Not sure if it's for you? Well, how about we sweeten the deal? Order a certain amount of K-cups from us each month and we will provide you with a Keurig Brewer free of charge! If you would like a free Keurig Single-Cup Brewer just give us a call! Heavenly coffee is right around the corner! Don't settle for "good enough"! Let us help you get more value from your breakroom. Employees looking tired and not being quite as productive as you would like? Look no further. Lets liven up your breakroom! 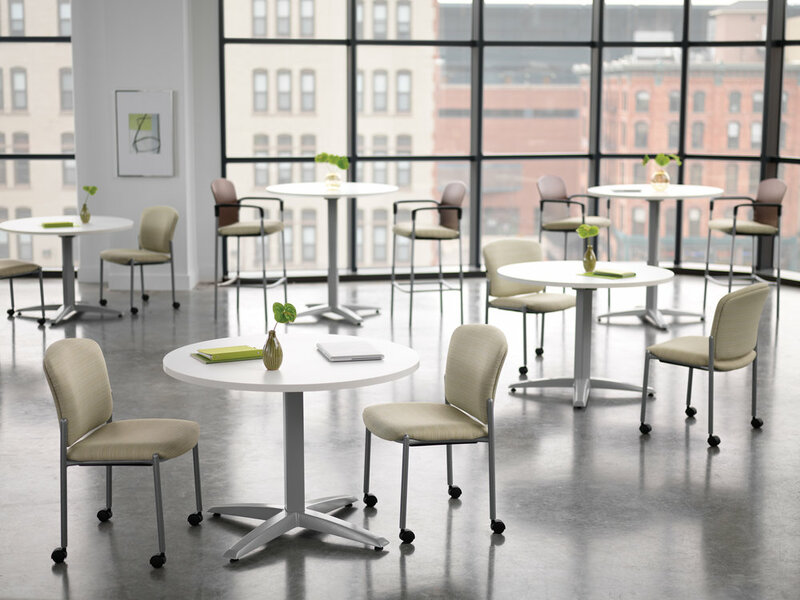 Let us help you create a place to re-energize and refresh your employees to help extend their productivity all day long. Whether it's a fresh cup of coffee or a healthy snack, a little pick-me-up will go a long way. Tired of empty cupboards and countertops? We can help with that! 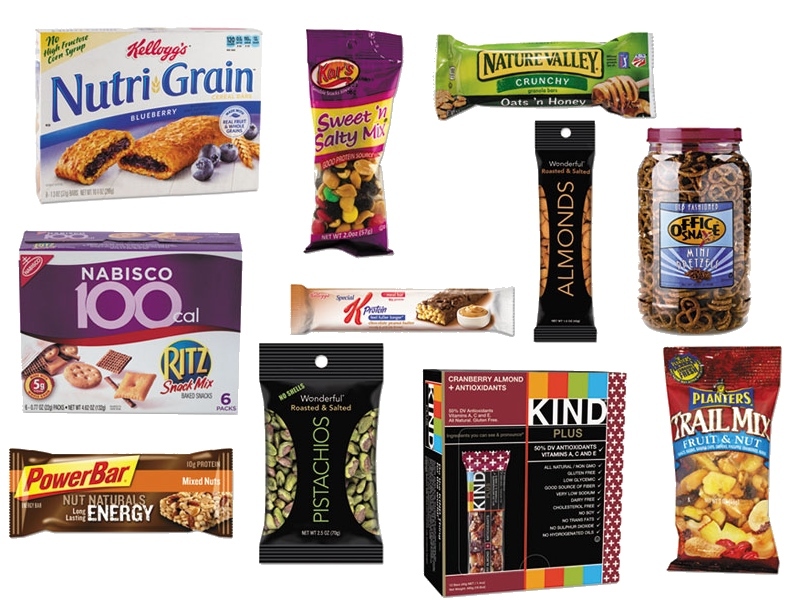 Cookies, crackers, pretzels, chips, nuts, candy, breakfast cereal, and all types of bars (just to name a few) can be found right in our breakroom food catalog. Your updated breakroom will be barren no more! Let us set up a complete breakroom program for your office. Regardless of the type of business you’re in, every company has safety and security issues to deal with. You need the proper equipment and supplies to keep both your employees and customers safe and to avoid workplace accidents. When most people hear "safety supplies" they think of items like gloves, hard hats, safety goggles, fire extinguisher, wet floor signs, and first aid items. 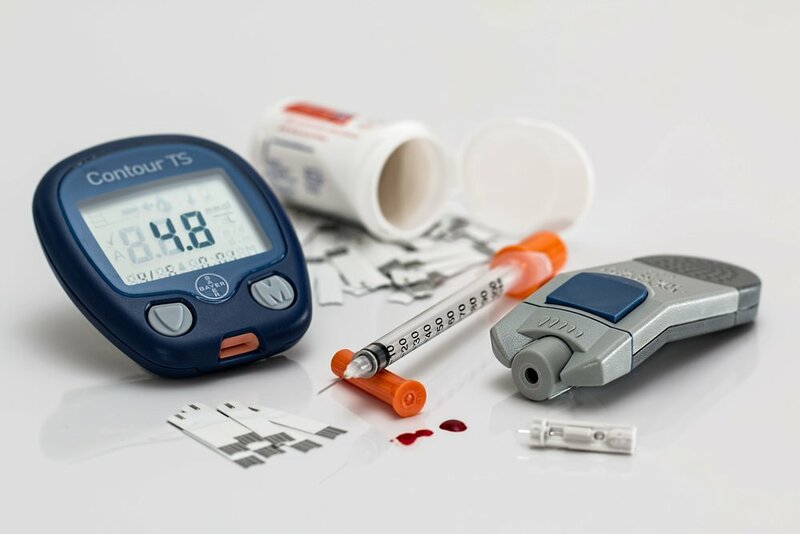 While these items all definitely fit into the safety category, there are numerous more items that fall into this area that we don't usually consider. If your company is in manufacturing/industrial, you need ear protection, respirators, sorbent, shoe covers, coveralls, hard hats, safety vests, and maybe even two-way radios. If you’re in food service, you need food handling gloves, aprons, and hair covers (for the safety of your customers). Other types of companies may have a need for crowd control – traffic cones, caution tape, stanchions, and safety batons. And what about security mirrors and emergency lights? How about an eye wash station? Did you know that Office Express carries every item that I mentioned above? When we say we are your one-stop shop, we mean it! We have a large assortment of safety items in stock for immediate shipment and more that can be special ordered at your request. Find out more about safety supplies on our blog! Part of any company’s budget is janitorial and sanitation supplies – also referred to as Jan/San. Every business needs to put forth a neat, professional appearance for its customers as well as handling normal sanitation like cleaning restrooms and kitchens. Many people forget that janitorial supplies are items that are used around the office everyday. From something as simple as toilet paper to something like a mop and bucket, Office Express covers all the janitorial and sanitation supplies that you could possibly need. The best part of it all is that we offer these products at a better overall value than the competition. Come check our extensive line of janitorial and sanitation products! “Office products” used to be just items like pens, pencils and paper, but times have changed and the office products industry now includes so much more than only those types of items. We offer a plethora of janitorial and sanitation products from the likes of Impact, Rochester Midland, Safety Zone, and Malt just to name a few. Traditional dealers cannot offer you this breadth of products as well as satisfy all your other office needs. Let Office Express be your single source supplier and know you are in good hands! Find out more about janitorial and sanitation supplies on our blog! Is your office prepared for an emergency? Would you know what to do if a coworker suddenly collapsed? Do you know how to recognize sudden cardiac arrest? These are questions everyone in your workplace should be able to answer. Having the right equipment in your office to deal with any emergency is vitally important. You could save a life. 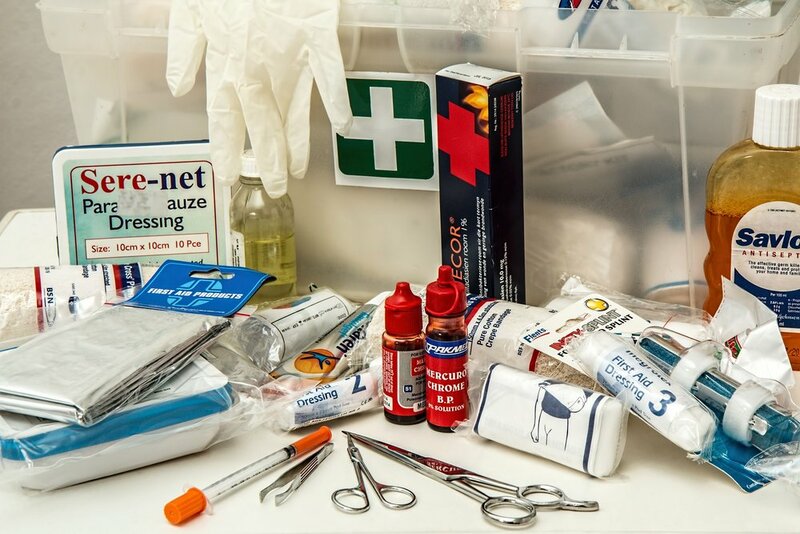 With everything from bandaids to defibrillators to wheelchairs, OEX helps you prepare your home or office for whatever life throws at you. 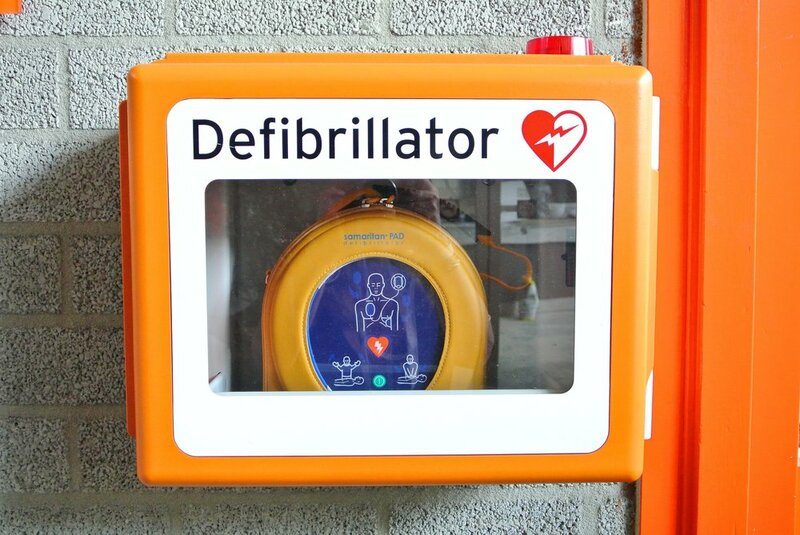 You may not think of us as a medical supplier, but we have a large selection of first aid/healthcare/safety items – defibrillators included.